A strikingly successful example of a “garage business” gone crazy, Hewlett-Packard Inc (today split into two companies, HP Inc. and Hewlett-Packard Enterprises) is one of the greatest American companies to date. Founded by Bill Hewlett and Dave Packard in a literal garage, the business started with a capital of $538 and had absolutely nothing to do with computers in the beginning. It only entered the computer market 27 years after its inception, and two years later it developed what was to become the first proper “desktop PC.” Today, HP is among the world’s top 3 computer manufacturers and vendors, along with companies like Apple and Lenovo. 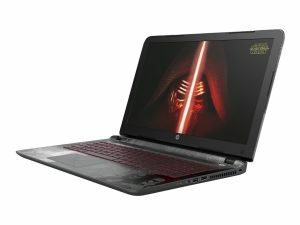 The biggest, heaviest, most expensive, and undoubtedly the most powerful laptop on this list, the W151NR belongs to HP’s line of gaming laptops. There aren’t very many models in the OMEN series, but they’re worth a good look. 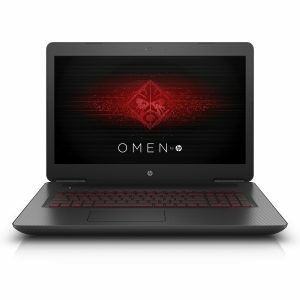 Speaking of looks, the OMEN models are entirely different from, say, the Asus ROG series or Alienware. In fact, besides the sheer size and weight, as well as the carbon black + red combination common for gaming laptops, they look pretty much like classic devices. However, as they say, you must take a look inside to see their real worth. At a lower price than the closest corresponding Alienware model, this OMEN 17 has almost the same components… and then some. The CPU, graphics card, and memory are the same: Intel i7-6700HQ, quad-core, 2.6GHz, 3.5GHz Turbo Boost, Nvidia GTX 1070 with 8GB GDDR5 VRAM and 16GB DDR4. The HP model takes the cake when it comes to displaying though, as it has a default UHD IPS. Also, the OMEN 17 comes with a 512GB SSD, which we highly appreciate. All in all, it seems that HP is faring pretty OK on the gaming side. This is not exactly a gaming laptop, but rather a gaming-oriented classic one. However, we’ve decided to include it here due to its components and construction. 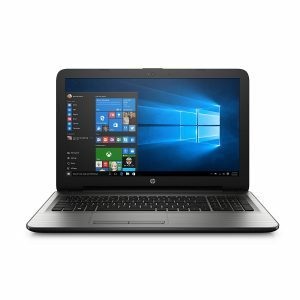 You can find this exact configuration sold by Computer Upgrade King on Amazon, and we consider that this is the best HP budget gaming laptop you could ever get. In fact, considering it’s pretty much a supercharged classic laptop, you can use it for any and all applications. This also makes it, in our opinion, the best bang for your buck among HP laptops. This particular design includes an Intel i5-6300HQ, quad-core, 2.5GHz, 3.2GHz turbo, paired with a nVidia GTX 960M, 4GB GDDR5. It also has the same 16GB DDR4 @2133MHz the higher-end model has, which is the minimum amount recommended for the latest games. It doesn’t have an SSD, unfortunately, but the 1TB HDD should do for all practical purposes. If you want the stylish look of Apple computers without paying for a MacBook, this is the best deal you can get. Admittedly, this computer does look a bit too much like a MacBook. However, unlike those, it has a lower price tag, and the performance is not to be underestimated. The design is just as you’d want for a business laptop: slim, minimalistic, light, with the screen opening up to 180o. The processor is an Intel m5-6Y54, dual-core, 1.1 GHz, up to 2.7 GHz with Intel Turbo Boost, which comes with Intel HD Graphics 515. It has 8GB DDR4, 128GB SSD, and an FHD UWVA LED-backlit display. It has two USB 3.1 Type C ports, which is one extra compared to a MacBook. When we say “classic,” what we mean is “classic movie custom.” This laptop is created in collaboration with LucasFilm and has everything you’d want from a non-gaming Star Wars laptop. The design of the case is exactly what you’d expect from such a laptop, featuring an epic picture of Darth Vader on the back of the screen, darkened steel/red finish which looks like it’s been through the Clone Wars, and a touchpad that will remind you of a certain bomb launched towards the core of a certain man-made satellite. The inner workings of this machine are also worthy of a spaceship. It has an i5-6200U, quad-core, 2.3GHz and up to 2.8GHz Turbo, which comes with Intel HD 520, 6GB DDR4, and 1TB HDD storage. The screen is a 15.6” FHD IPS, and the whole thing weighs only 2.3kg. All things considered, we think this laptop deserves the title of “best budget laptop”. While the Star Wars Special is a classic in its respect, this Pavilion 15 is exactly what people think about when they hear “HP laptop.” It’s the most representative image of the classic HP laptops and, even though some may say the design is outdated, it’s undeniable that there’s certainly an almost vintage beauty to it. The R210DX is equipped with an i5-5200U, dual-core, 2.2-2.7GHz, with Intel HD Graphics 5500. It has 6GB DDR3L SDRAM and a 750GB HDD. All in all, a simple machine, yet performing well enough to do everything you could need around the house. This engineering marvel is one of the reasons HP stays on top after so many years. Its wonderful lines, excellent screen design, and overall sleek appearance made us give it the “Best HP design” award, along with the “best HP convertible.” It’s one of the best multimedia devices around, allowing you to play as much as you want with pictures, videos, and so on, but also unquestionably one of the best business models. This 2-in-1 is powered by a latest-generation Intel i5-7200U (dual-core, 2.5GHz, turbo up to 3.1GHz, 3MB cache), with Intel HD 620 integrated video chip which allows the 13.3” FHD UWVA WLED-backlit touchscreen to work perfectly. It features 8GB DDR4, as well as a 256GB SSD. Connection to the outside world is realized through 2x USB 3.1 Type C and 1x USB 3.1 Type A, for which the Kaby Lake processor has native support. 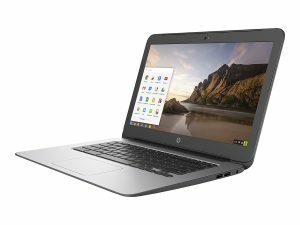 Chromebooks are designed to work on Google’s OS – Chrome OS – a modified Linux version. They’re made for light tasks only, such as taking notes, writing essays, watching movies, browsing the Internet, things like that. 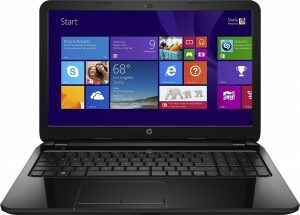 Most of the major tech companies have given this kind of laptop a shot, and this is one of the products HP came up with. Based on an Intel Celeron N2840, dual core, 2.16-2.58GHz, with Intel HD Graphics, this laptop features 4GB DDR3 SDRAM and 16GB flash storage. It’s light and thin, at only 1.7kg and 18mm, and it’s best if you’re a student, writer, or simply a person who likes to travel light and enjoy some good multimedia content on the way. As far as overall quality is concerned, HP laptops have no issues. 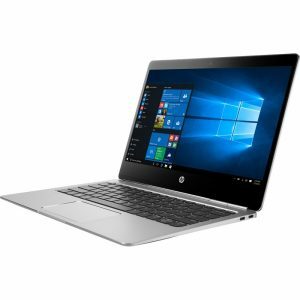 They have a good build and beautiful design – in fact, HP laptops are considered by many reviewers to be some of the prettiest on the market, in spite of certain Apple-looking models. The components used are the same as every other major company, so that’s what it comes down to when approaching HP laptops – overall build quality, aesthetics and functionality of the design, and price. The latter factor is something HP seems to be very keen on. Just like Asus, Dell, and Lenovo, for instance, HP seems to aim for all layers of the market, starting from low-budget laptops to high-end gaming stations and workstations. There are, however, a couple of disadvantages as well, if we want to nitpick. To begin with, battery life on HP Ultrabooks, 2-in-1 laptops, and other devices at the very slim end of the spectrum appears to be quite disappointing, especially compared to some very long-life counterparts produced by Asus and Dell, for instance. They don’t seem to be doing particularly well on the innovation chapter either, in spite of a couple of successful entries on the flip-screen market. Also, their phone and live chat support are not doing very well either – albeit not as bad as Dell, which won the award for the longest average time spent on phone support. Last (hopefully) HP seems to have followed the trend of installing software of questionable usefulness on its devices. Then again, there are a couple of things HP does well. While regarding thinness it does have its fair share of competition (from Apple and Dell in particular), HP has the edge when it comes to weight, producing some of the lightest laptops around. In fact, it appears that lightness is something HP is very keen on, considering that even its heaviest gaming models don’t exceed 3.3kg. There’s also the quality of its premium laptops. It’s clear that HP is not pushing too much towards the gaming-oriented market, considering its relatively few gaming models compared to, say, Asus. On the other hand, the business, workstation, and multimedia laptops are pretty much out of this world regarding overall quality, design, and performance. In fact, we believe that these are the exact reason why HP is still among the leaders of the pack. 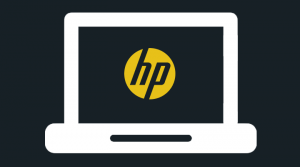 If you decide to buy an HP laptop, you thus have to think first what exactly you need it for. Of course, you can buy an all-rounder if you’re not sure what you’re doing, but that’d be a poor decision if you need the laptop for a more particular purpose. 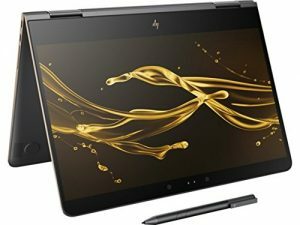 As said above, HP has a laptop offer for every demand, including gaming stations, graphic design and photo/video editing, multimedia use, basic home use, and so on. Then, you’ll have to consider your budget. Of course, HP laptops also cover all budgets and are nowhere near as expensive as Apple, to begin with, but if you want quality, you have to be prepared to dish out some cash. Next, it’s the environment in which you’ll use the laptop. You have to consider size and weight as well as case material and battery life, especially if you’re traveling a lot or spending time in accident-prone areas like classrooms and such.